Located in Tinh Bien district but only 20km from Chau Doc city, Tra Su Melaleuca forest has long become a must-see destination in An Giang. Come here, you will drop yourself in the green space of plants and water. Tra Su mangroves are located about 20 km south of Chau Doc city. 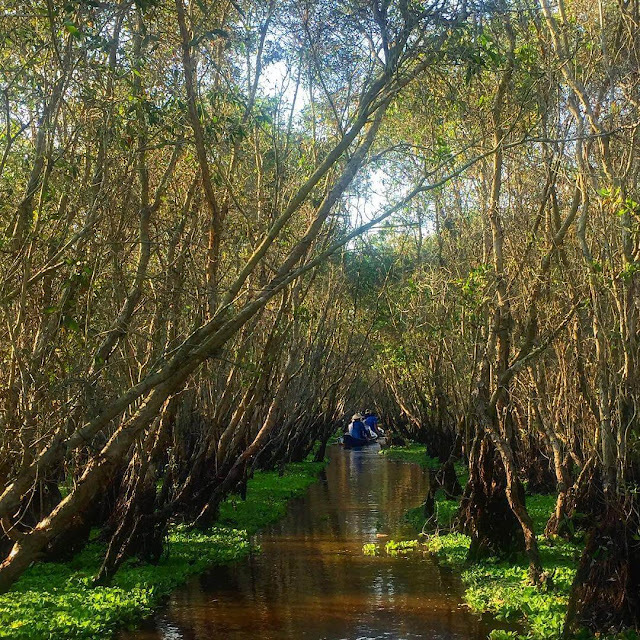 With an area of nearly 850 hectares, Tra Su is a submerged forest typical of the western Hau River, with most of the trees are Melaleuca trees over 10 years old. In addition, this is also home to a variety of rare animals and plants. Sitting on a motorbike to enter the Melaleuca forest, you will be amazed at the beauty of the forest. The watering machine runs slowly inside. Melaleuca trees stand directly in the line as welcoming visitors. 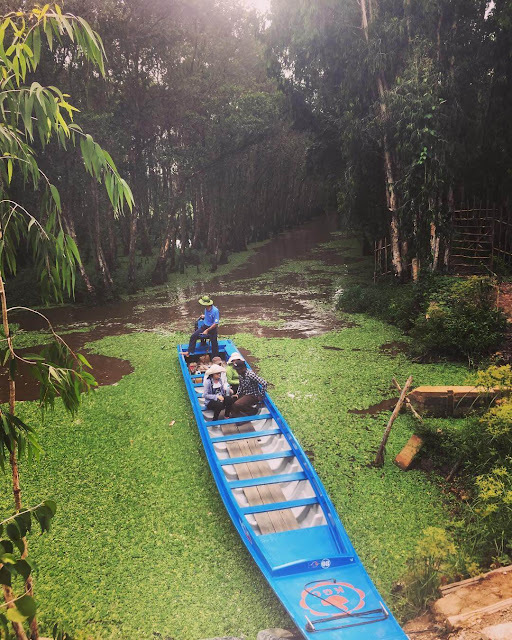 After going deeper, you will be transferred to a rowing boat to explore the forest. Coming to Tra Su, everyone love to admire the beauty of the forest with four surfaces are covered by the plentiful blue of the layers of water over the water, and the trees of melaleuca, creating a beautiful picture of the region. Leaving the chaos of everyday life, people can feel the peaceful space, from the poetic scene, hear the birds chirping, breathe fresh air, or dropping their hands in the cool water. 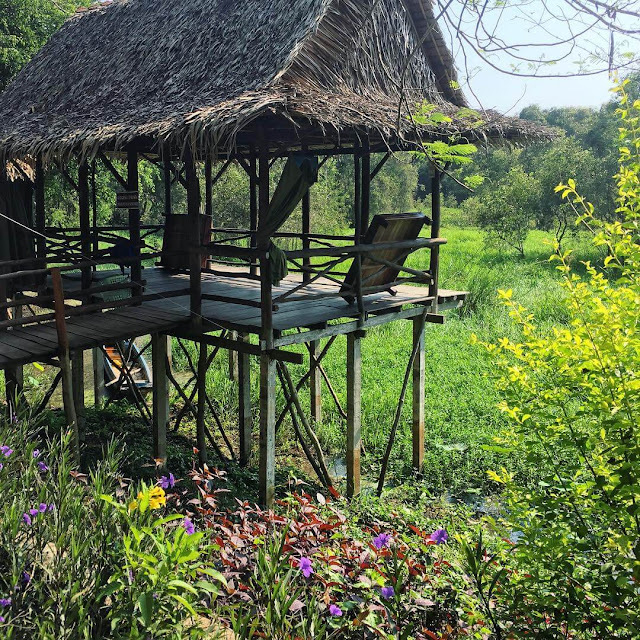 Tra Su is really suitable for those who want to escape the noise of the city. The gentle and rustic of the scenery together with the generous and humanity of the people here makes people who do not visit often will not remember when. Summer is the right time for visitors to Tra Su Melaleuca forest. 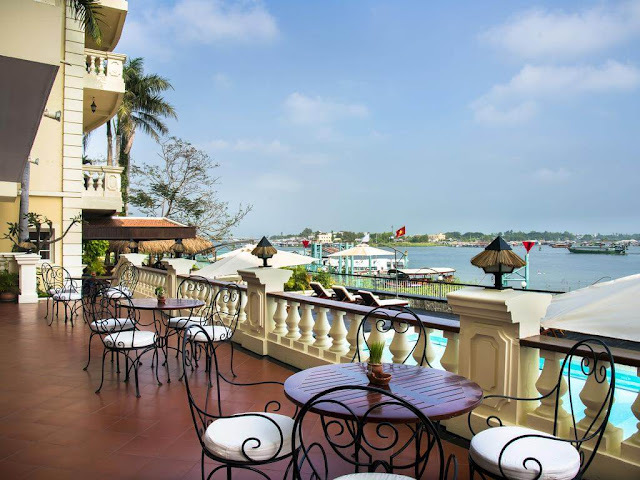 Suggested combo package for 3 days and 2 nights at the Victoria Hotel Chau Doc 4 stars. 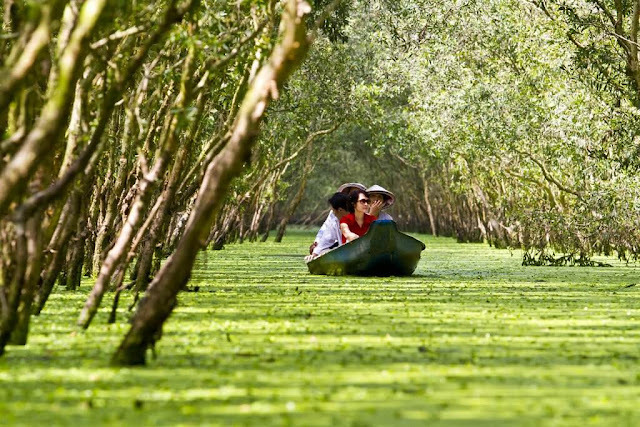 In addition, there is a shuttle bus from Saigon and a tour package to visit Tra Su Melaleuca forest is very interesting. All services are only 1,999,000 VND (80 USD)/ person. Not too crowded, but still delighted in the blue colour of Tra Su. Situated in a unique location right on the banks of the peaceful Hau River, Victoria Chau Doc Hotel is a small oasis rising between the large river fork. Built in 1999 in colonial style with French low rise architecture, Victoria Chau Doc is a perfect harmony with the surrounding natural surroundings. 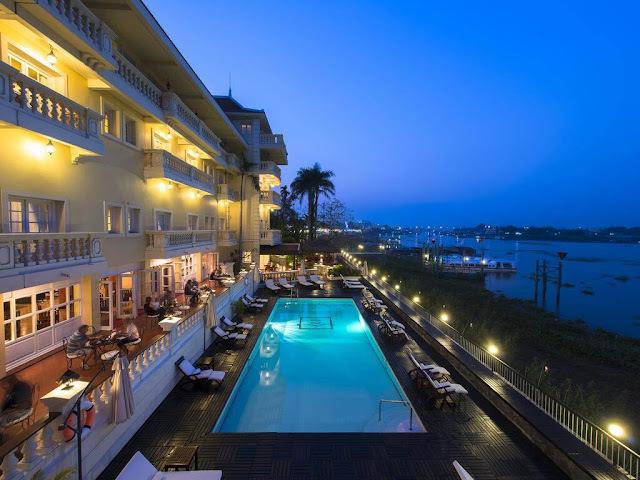 With a total of 92 rooms, including 4 luxurious Suites, are wooden flooring and offer views of the river or town. 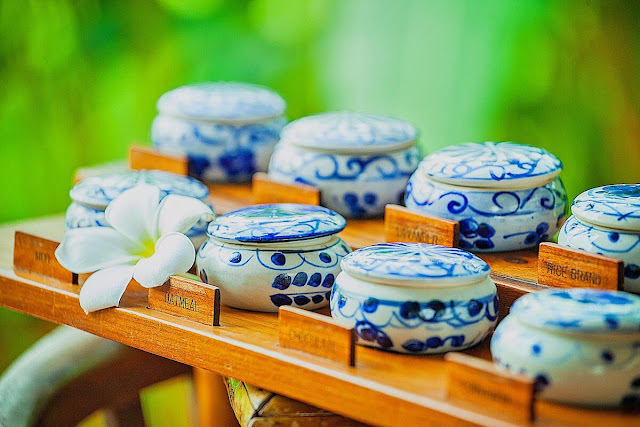 Each room design is a blend of the sophistication of traditional Vietnamese art and the charm of world architecture during the colonial years. 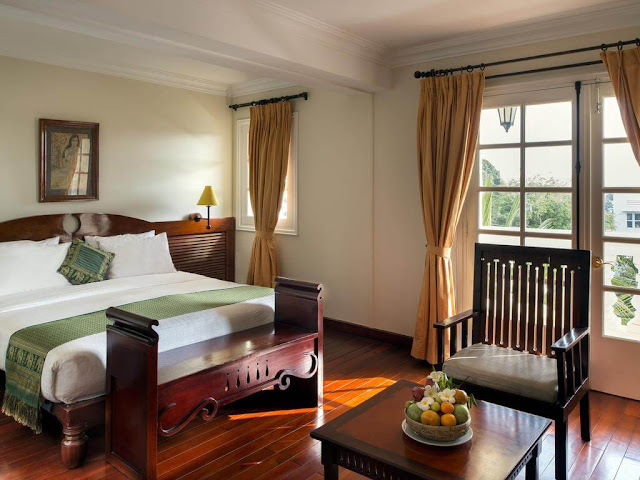 Relax in a luxurious space with ancient French architecture, the Superior rooms have a harmonious combination of wooden furniture with ethnic motifs and richly decorated water features in the West. The Deluxe Room consists of 2 single beds or a double bed decorated with Cham brocade towels. Spacious airy space creates a sense of relaxation for visitors staying here. What better way than to sip a cup of coffee by the window, watching the boatmen slowly rowing along the water and feeling the tranquility of the gentle water here. The luxurious Junior Suite with spacious space includes a king-size, king-size, lounge area where you can relax watching the colorful boats and boats cross the river. The entire interior of the wood, is decorated with local decoration in harmony with East-Western style. 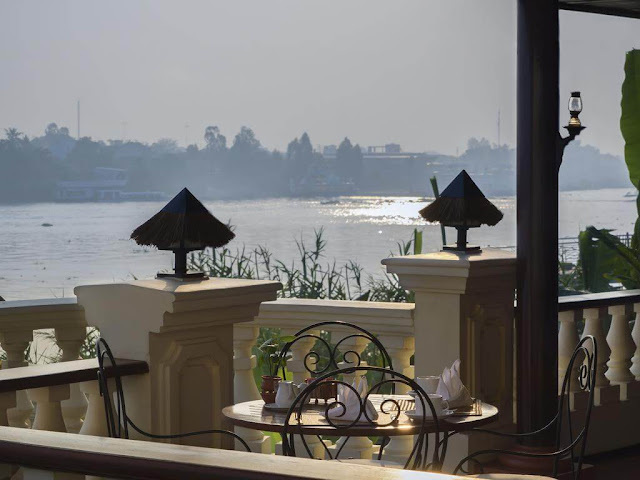 Bassac restaurant is located on the bank of the river with a clear view, covering the whole view of the river and sky. 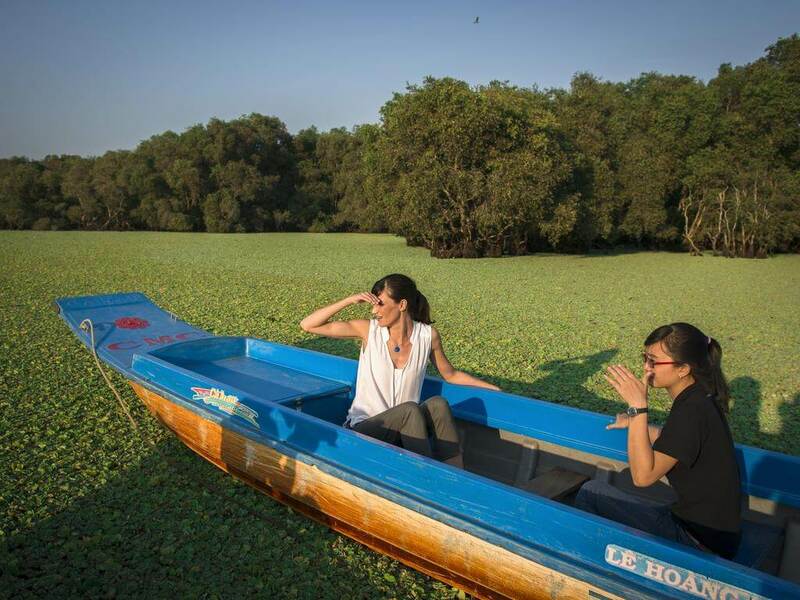 Especially on the early morning, visitors can watch the scene of the boat crossing at the confluence of the river while enjoying breakfast at the hotel. The luxurious wooden architecture is adorned with local traditional decorations, highlighting the uniqueness of the colonial architecture of the past. Restaurant menu is a combination of Vietnamese and European dishes that tourists can request to serve in the warm space inside or outside the windswept. After an exhausting day of activity and sightseeing, let your body be pampered with special spa therapies. In addition, the spa is equipped with an outdoor pool, sauna and other facilities such as towels, bathrobes, slippers and bathroom amenities. 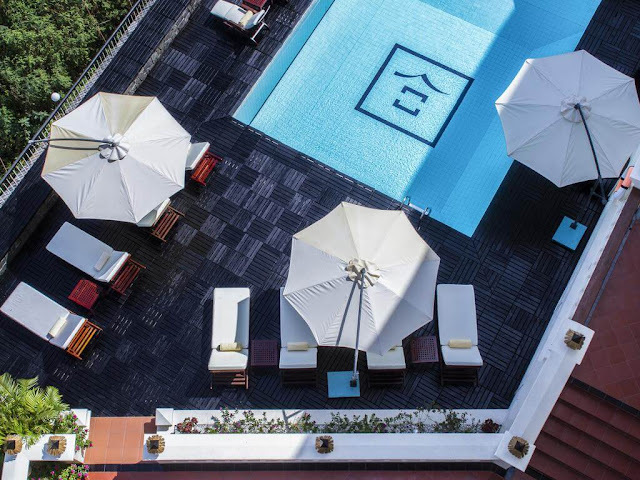 Victoria Chau Doc Hotel has been nominated by The Guide, a Timescale of the Vietnam Economic Times, for its slogan, "Keeping the Green Environment," and where the historical footage of the movie Apocalypse Now by famous producer Francis Ford Coppola.